Optimal health and reduced risk of disease? Skin conditions such as acne or ezcema? Poor health in your child? Every action in your body requires nutrients – protein to build new cells, B vitamins to process energy, zinc to make immune complexes, vitamin A to repair skin… However, research has found that even a so-called ‘well-balanced’ diet doesn’t supply optimal amounts of all the nutrients you need to function at your best. Add to that stress, exposure to everyday pollution, toxins, harmful chemicals and so on, and it’s no wonder that many people experience poor health and greater risk of disease. 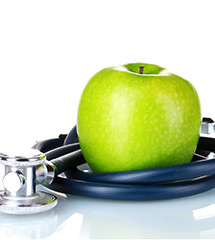 Nutritional therapy is a natural yet scientific approach to restoring and maintaining optimal health. 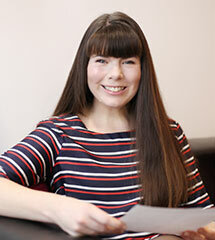 As an experienced practitioner, I can analyse your nutritional needs, identify and correct any underlying biochemical imbalances and help you to overcome health problems so you can enjoy living life to the full. 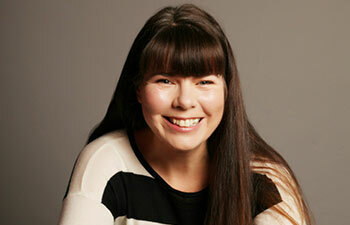 I offer face-to-face consultations from my clinic in Hampshire, or by via phone or Skype if you aren’t local. I’m also at the Stress Clinic in London once a month. As part of the consultation process, I may suggest biochemical tests to assess digestive function, hormone balance, mineral levels or toxic overload. Stress is an unavoidable aspect of modern life. But while we cannot escape life’s pressures, we can change our reaction to them. 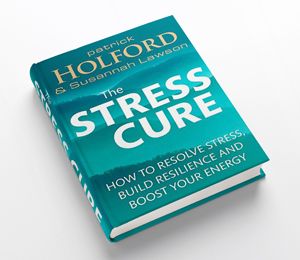 If you are stuck in a vicious cycle of stress and fatigue, The Stress Cure will show you how to ‘reset’ your mind and body to achieve a calmer, more resilient and balanced approach to life. This is my latest book, with Patrick Holford. Click below to find out more and to download free relaxation exercises. Here’s why – in the past year alone, studies have shown that stress, if left unchecked, causes serious damage to your health. It also depletes your energy and enjoyment of life. 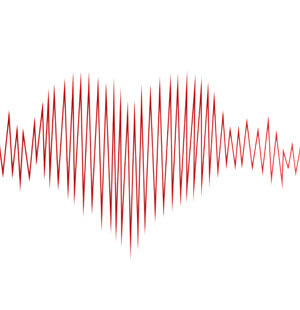 As a HeartMath practitioner, I can offer you a simple yet remarkably effective way to reduce stress, increase resilience and develop a more positive mindset.